Fresh from winning third place and the $10,000 Laura Brown prize at the Melbourne Australia International Chamber Music Competition, the Callisto Quartet returns to its home, the Carolina Music Museum on Heritage Green in downtown Greenville, for a chamber music concert on Thursday, August 9, at 7:30. 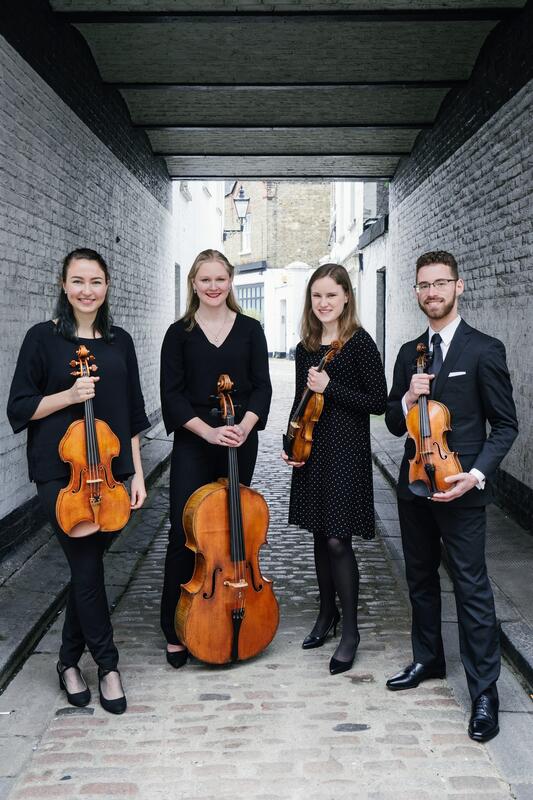 This talented quartet will play a program that includes selections not only from their Australian win, but also from the Wigmore Hall competition, in London where, in April, they were awarded the Jeunesses Musicales Deutschland prize and a week of study in Weikersheim, Germany, at one of their most renowned music academies. The London and Melbourne competitions invite--yes, invite--quartets based upon audition tapes and quartets from all over the world are screened; Wigmore selected 12 quartets, Melbourne, 8. Understand, these competitions had an age limit of 35 to enter. Callisto’s average age is barely 21 and these talented musicians have already left their mark internationally. Next? They will make their New York City debut on December 2, on the Schneider Concert series. Not surprisingly, they will be in good company for this is the same series on which the Guarneri, Vermeer, Cleveland, Tokyo, Dover, Calidore and Rolston Quartets made their NYC debuts and began their prestigious careers. Paul Aguilar, the quartet’s first violinist, a graduate of Greenville’s Fine Arts Center, where he studied with John Ravan, is about to begin his senior year at the Cleveland Institute of Music, which is also home for the other members of the Callisto Quartet. With only 80 seats available, they urge everyone to make their reservations early. When they played on May 24, the intimate performance space was sold out. $20 for adults, $10 for students with ID’s. Call 520-8807 to make your reservations. The Thursday, August 9, concert will begin at 7:30.